So, last Thursday we set off with a car loaded with games ready to start our 275-mile drive to Harrogate for AireCon. This was our third year and it is, by far, my favourite of the UK gaming conventions so well worth the gruelling drive there! Three hours after leaving and we were still stuck on the road to hell aka the M25, this wasn’t ever going to be a quick journey but some days are worse than others and this was going to be one of them. Seven and a half hours after leaving, we finally arrived in Huddersfield - our pre AireCon stopover. Here, we collected the first two of our new acquisitions from the weekend, just a couple of little games. Twilight Imperium 3 and Teenage Mutant Ninja Turtles: Shadows of the Past, yup, just a couple of small boxes! 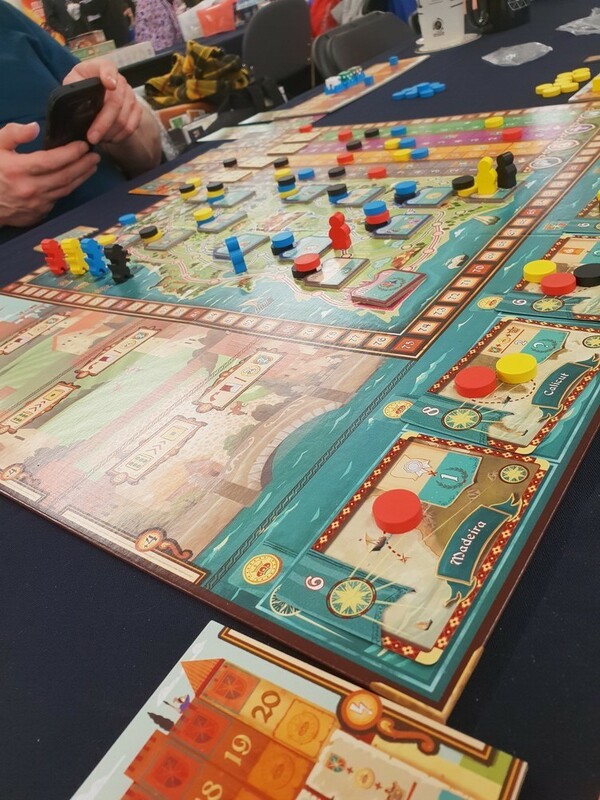 After that, I taught Coimbra to another new player. I’m really loving this game at the moment and enjoying spreading the love! Such a great, tight game. With only twelve actions throughout the whole thing, you need to make sure every action counts. As usual, when I’m teaching this, I came in last but the fun is in playing, right? So, after learning a mid-weight game and teaching another I decided to learn/teach another. 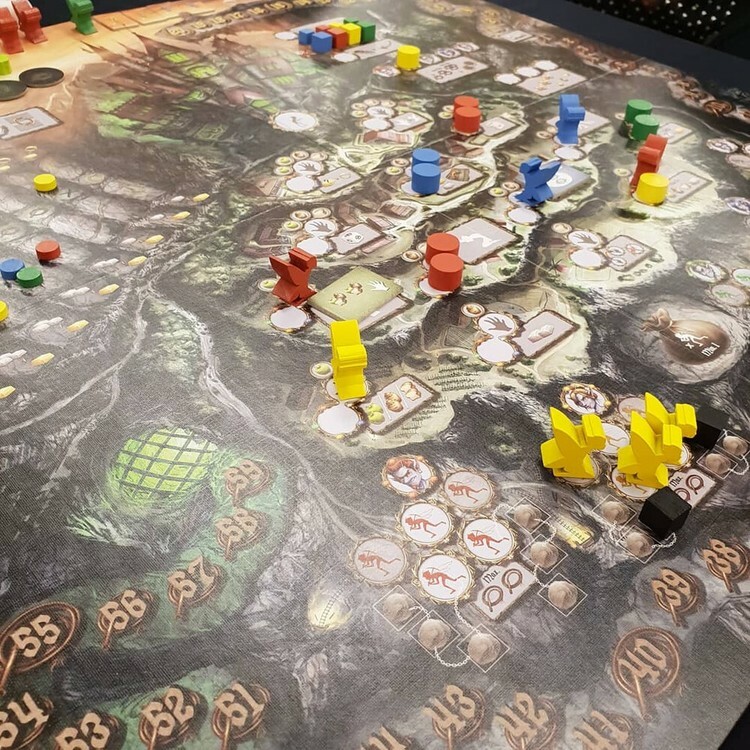 We had played Pixie Queen recently for the first time and I was keen to get it to the table again. This was a pretty rocky teach, but we got through it to be constantly punished by the Queen herself! You spend the entirety of this game getting negative points and part of it is to just get less negative points than the other players. This is a brutal game that just doesn’t seem to get the love it deserves! At this point, the hall was going to be closing up soon so we headed back to our hotel where we managed to get a game of Cupcake Empire in on the tiny bar table. 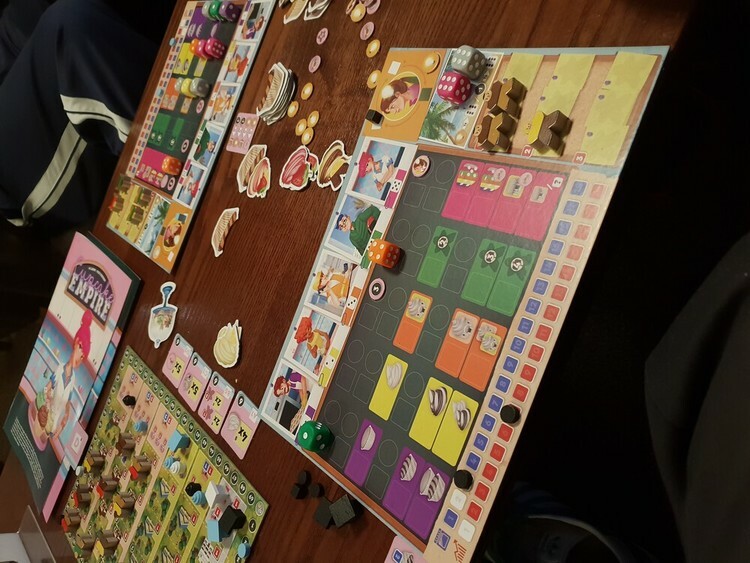 This was one that none of us had played before so it was a learn and teach game with very poor lighting which made some of the colours very tough to tell apart. Some nice mechanics and super cute artwork meaning it was deceptively tough at times. 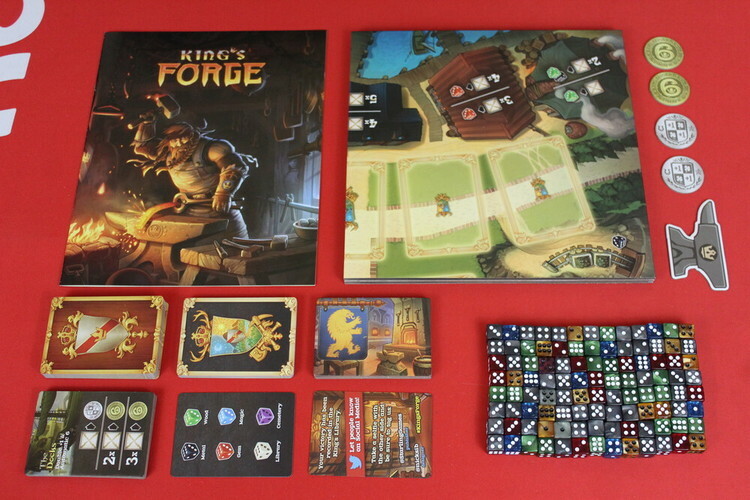 I know I will be able to get people playing this based on looks alone, glad I managed to grab a copy after eyeing it up at Essen and watching it sell out! And so ended day one of AireCon. The plan had been to fill up my bag with mid weight Euroes and then take my Quiver so we had some smaller, quicker, multiplayer games, however, half an hour into our journey I realised I’d forgotten the Quiver. This meant we only had heavier games to play, oh well! However, this meant quality over quantity for the weekend! Saturday started with a pre-planned game of Smartphone Inc. II’ve wanted to play this for a while and a previously planned game at HandyCon had fallen through at the last minute a couple of months ago so I was very keen to finally get to this! 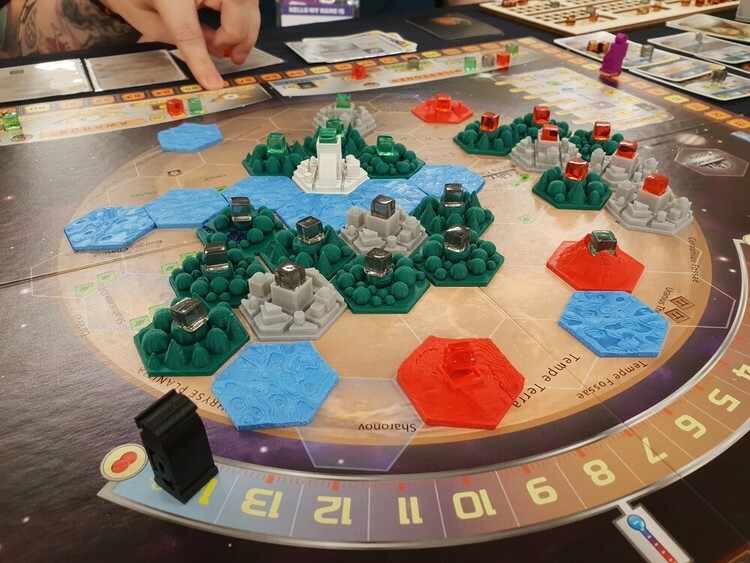 It’s one of those games that seems far more daunting from the rules explanation than it actually is and after turn one it felt pretty easy going. Massive thanks to Ian for bringing and teaching us this. After selling out at Essen there will be a Kickstarter for this later in the year and it will be an insta-back from me. The tile over laying for action selection is not something I have seen before and the gameplay of logistics, stock control and price manipulation ticks all the right boxes for me! Then a game I consider to be one of my all-time favourites - Concordia. I will always be up for a game of this. 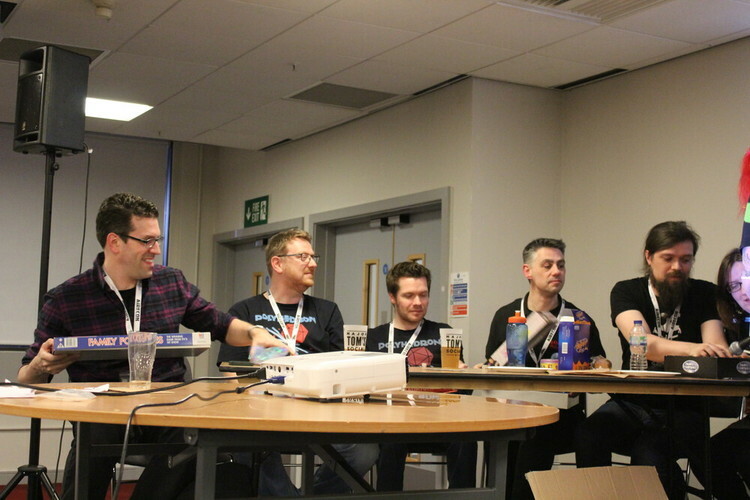 I’d pre-organised meeting someone for a game and as we were setting up had two people ask if they could join - this is what I love about Airecon, just sitting and playing a game with three people I had never met before! I did realise a few turns in that it had been far too long since I played so I did horribly but went away with a determination that it wouldn’t be so long until I played again! Saturday afternoon/evening was a strange one and there was a lot happening, including my very own Fameeple Fortunes! 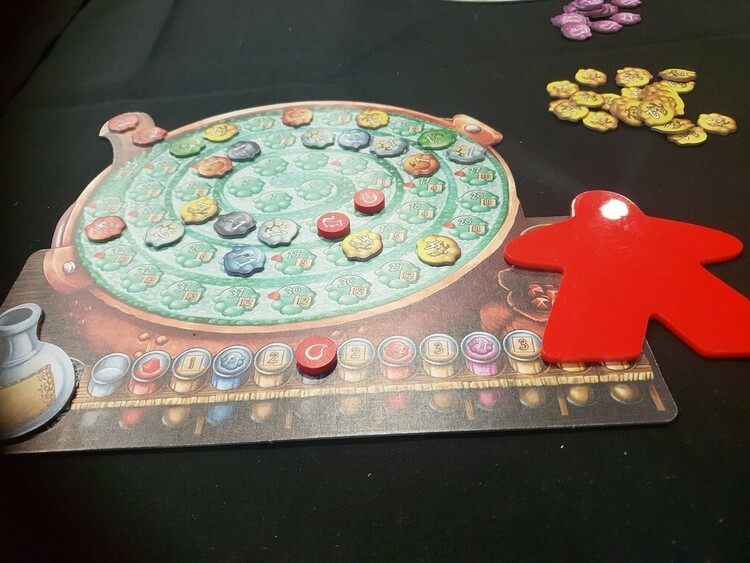 We sat down for a five-player Rokoko. This game gets overlooked, I know a lot of people who are turned off by the theme of dressmaking. Well, bad luck, you are missing out on a great game that has a bit of deck building, resource management, and area control. 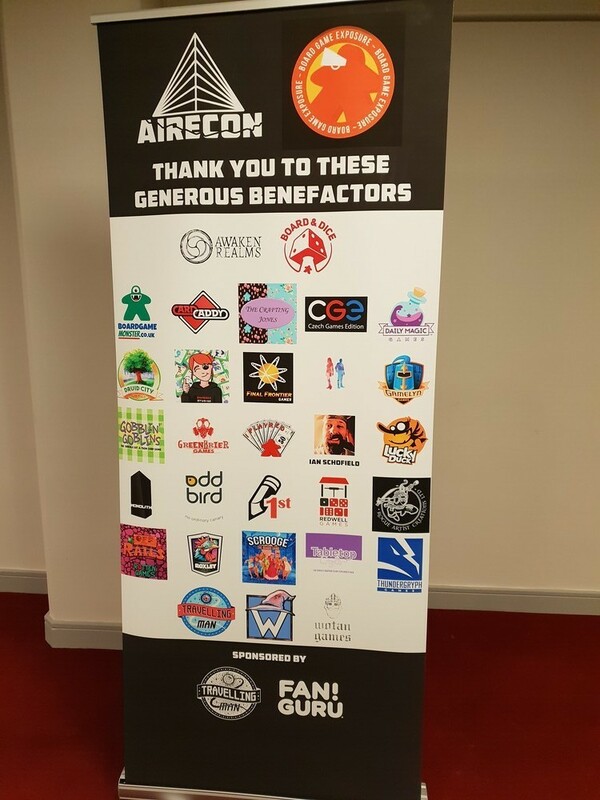 We started our game then ran off to get tickets for the Airecon/Board Game Exposure huge raffle. 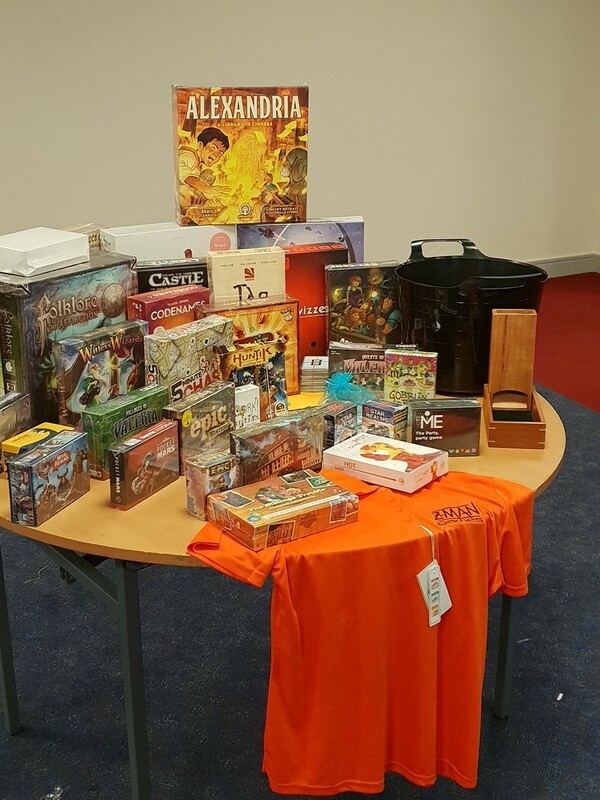 There was a total of five prizes, each consisting of a table loaded with games (you didn’t win the table though!) Tickets were being sold for an hour with the draw then taking place. You bought your tickets and then placed them into the bucket on the table of your choosing. Obviously, every table was full of good stuff but I had my eye on one in particular so dumped most of my tickets in there. We then went back and had a few more rounds of Rokoko before the drawing. Amazingly, we won! There was something like thirty games on the table (good job we’d driven up!) Some that we already owned, we handed over to friends and some were donated to good causes. We’re still working our way through a box that’s currently sat under our table as there’s really no space! So much for not buying new games this year - does this count?! A massive well done to all concerned for raising over £1200 for charity in an hour! Ooooops. I did a win. We went back and very hastily finished off our game of Rokoko before the main event - my Fameeple Fortunes game show. We’d previously got loads of people to respond to ten simple questions - the answers from which would be used during the live show. 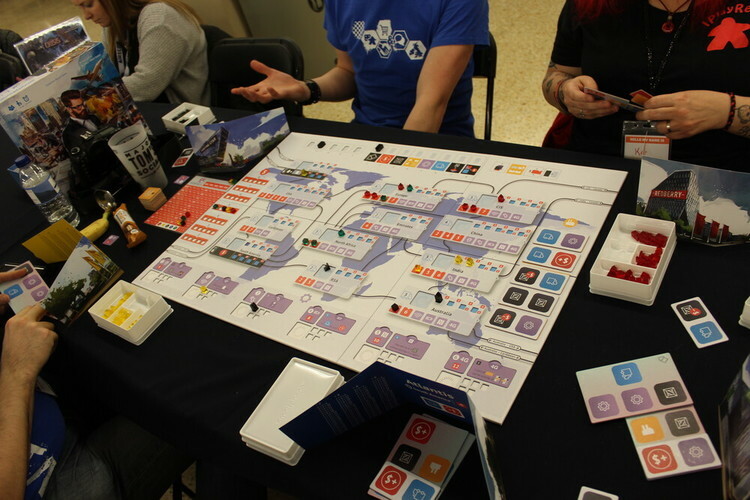 We had the Reviewers team - Watch it Played, Gaming Rules, Polyhedron Collider and Unlucky Frog in competition with the Viewers team - Boardgame Social, Yay Games, Games Explorers and Matt Coward. It ended up being a much closer thing than expected, all coming down to the last, double money round with the reviewers winning that and going through to the grand final. The final was done in a Pointless style with the team trying to come up with an answer that only one person had selected. 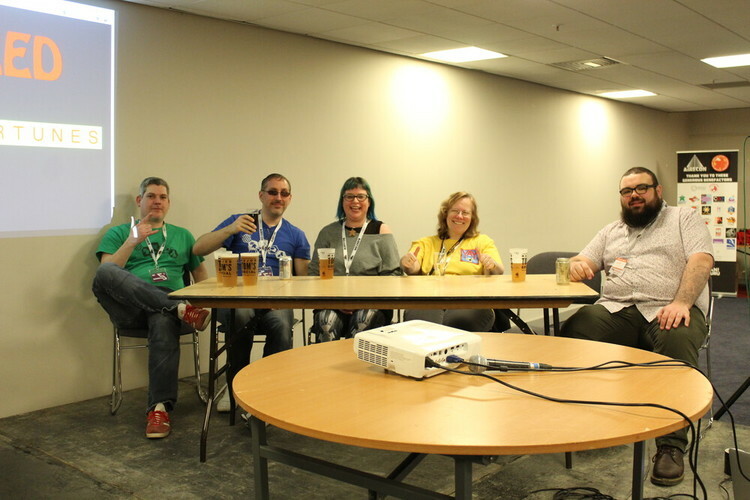 Their question being ‘What is a good game to teach a non-gamer?’ Sadly, they didn’t win the grand prize of a speedboat (this may be a lie) but they all went home with copies of the Family Fortunes boardgame, so look out for reviews coming soon! After getting past my nerves, I really enjoyed hosting this and want to do something similar in the future - watch this space! Jason Frowde managed to capture some footage of the show which features in the Gaming Knights Video Log ; My Airecon experience video. If anyone has any more photos or video footage of the event I'd love to hear from them. After all that excitement, we retreated to the open gaming upstairs which was a lot cooler and quieter than the main hall where we got in a game of Quacks of Quedlingburg. This has been a surprise hit for us. Winner of last years Kennerspiel des Jahres, I picked this up from that award alone. I was very surprised when I first played this that a push your luck game would be awarded what generally goes to a more complex, strategy based game. But Quacks is so much fun! It’s easy to learn/teach and play and the variations in the box mean you won’t get bored easily! We’re having a lot of fun with this and can’t wait to pick up the expansion. After that everyone was heading off to get ready to check out the next morning, we left, feeling smug that we’d booked the extra night this year! Sunday was quite quiet, I ran round to get some more photos and catch up with people I'd missed over the last two days. Some friends had picked Alexandria from the library which was funnily enough one of the games that was in my raffle haul! This was a learning game for all of us, so a bit clunky, but this definitely had a lot of interesting ideas with different player powers and end game goals. Looking forward to getting our copy to the table. After a final rummage through the bring and buy for any last minute bargains and saying goodbye to people who were leaving early, we had enough time for one last game. 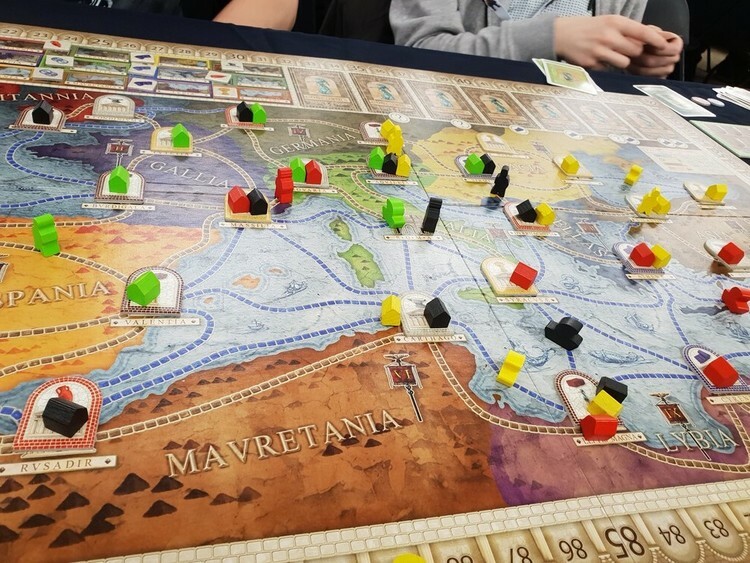 After discovering two of our group had never played it before, we decided to pull out Concordia again. It ended being pretty chaotic as time was running short with the last few turns being taken stood up as tables were bing collapsed around us. This is a game I love introducing to new players and I hope they fall in love with it as much as we did! We had a nice relaxing dinner, then back to the hotel to deal with the stacks of boxes in the room before heading home the next morning. 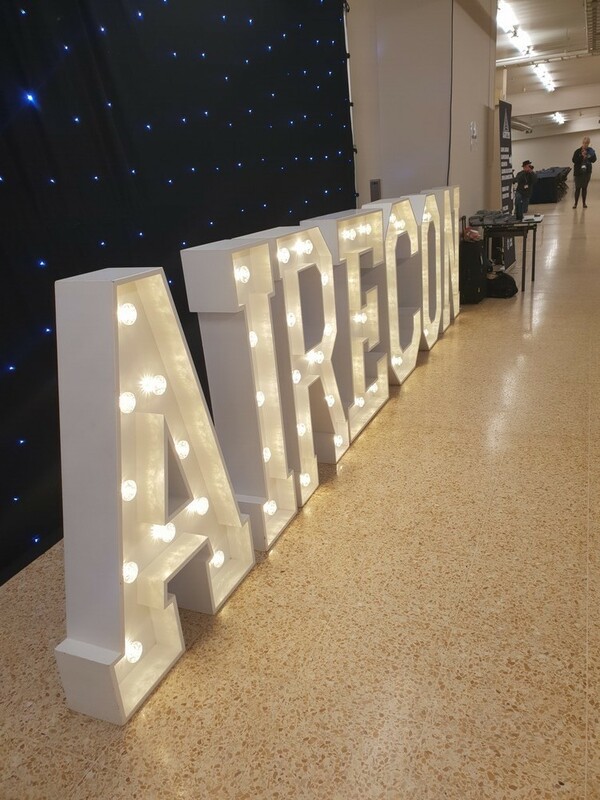 Airecon is my favourite of the UK conventions with loads to offer everyone. Loads of open gaming area with friendly faces, great events, the bring and buy, role playing sessions and lots of prototypes to try out. I can't wait to see it grow and continue to succeed.